Shocking Combination of Fire and Ice! Bloom Time: Late Spring to early summer and reblooming sporadically throughout the summer months. 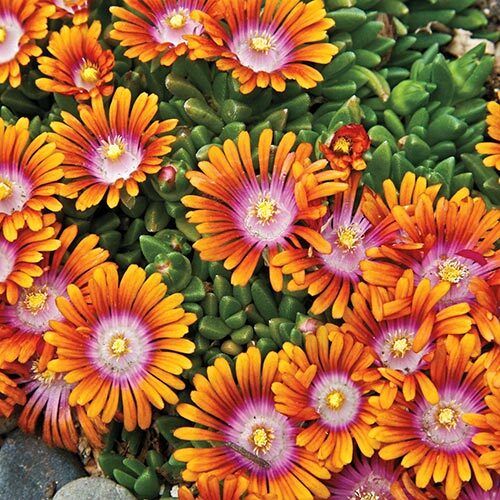 Hundreds of 1-1/2" diameter sparkling orange and purple bicolored flowers duel above low-growing green succulent foliage for 3 months! 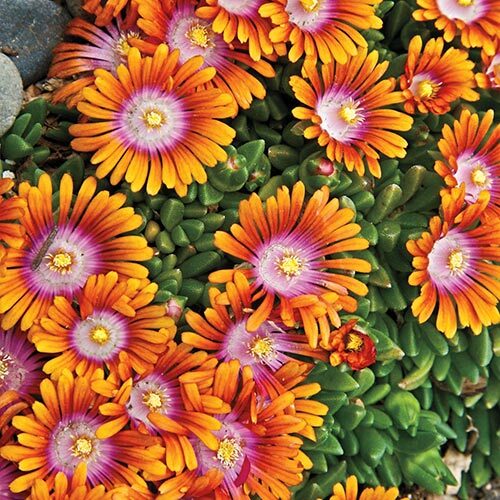 This majestic ground cover thrives in heat and humidity, all with little water. Plant 8-10" apart. Foliage Typesucculent apple green foliage turn bronze in winter. Bloom TimeLate Spring to early summer and reblooming sporadically throughout the summer months. Flower Form1.5" daisy-like flowers with narrow petals. Soil RequirementsA well drained gravelly soil. Growth RateModerate spreads 18-24" wide in two years. 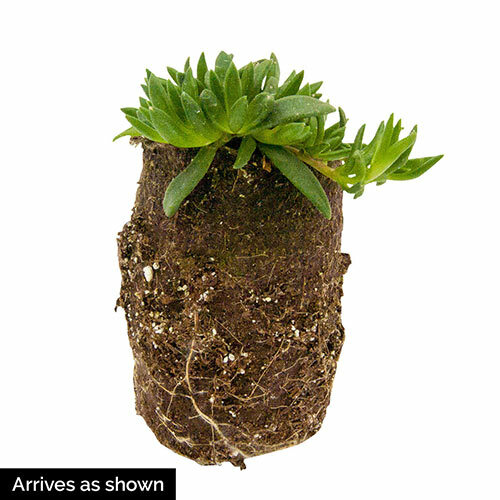 Winter CareBest placed in a sheltered location because no reliably winter hardy.